Last Fall we started a 3 bin system. Every week I would add kitchen scraps and cover with stockpiled oak leaves. Ratio of maybe 3 (leaves) to 1 (scraps). So I just turned one bin that has been sitting for about 5 months into an empty bin. All food scraps except egg shells are gone. And I never cut up anything, just throw scraps in the bin as is. Only real problem is that I have some matted leaves. So I have learned to perhaps mix up the pile a bit each week and to crush the egg shells. Other than that, I think I'll have great compost starting next spring. My goal was to have a zero cost no fuss system. I think I did ok. Thanks to everyone here who has helped me. Thanks for reporting back. It's always good to hear how things shake out. It's also good to hear what works for others. Great. Easy compost, I like it. 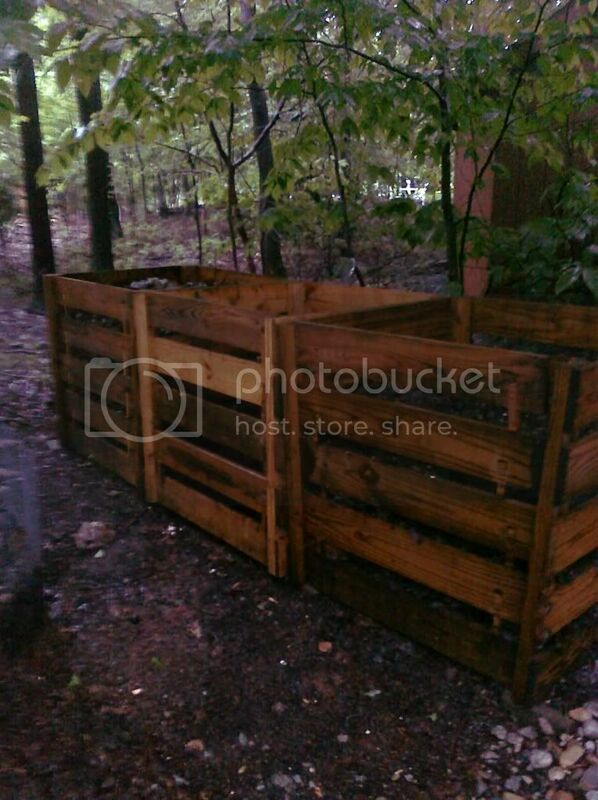 We could use some pictures so we can improve our compost systems. How much compost do you think you'll produce every year? I think I can get about one cu yard per year. A new CFL Bulb Every Month?